Respawn Area – Gaming, Anime and Technology in one place. January 12 has finally arrived and the Nintendo Switch presentation finally happened. While many details were discussed much was still left out. Most importantly, the system will retail for $299.99 on March 3rd and Legend of Zelda: Breath of the Wild will be a launch title. The system will have a free online trial until fall of 2017 for their online services and then it will have a paid subscription that some games would need. How much will people be paying for said service was not discussed. Also the joycons have an improved motion sensing technology in them. As far as new games, there will be Super Mario Odyssey, a new Fire Emblem game, a new boxing game called Arms, Splatoon 2 and Xenoblade 2 most prominently. However, these titles’ release dates range from release date to fall 2017. For more information on the switch Nintendo has updated their switch page. Nintendo just revealed the NX which is officially named the Nintendo Switch. It is a handheld console hybrid which goes back to cartridges format for games. You can use it on your tv while it is on a stand which connects it to the wall and tv. Or you can take the main unit out of the stand and add two controller sides to it making it look like a Wii U gamepad that youcan actually take out with you wherever you go. The controller sides have a base that you can put them on when you’re using it like a console, making it a regular controller. A more traditional controller was also shown in the video. It has the Xbox layout for the joysticks and and handles on the sides kind of like the PS4 controller. 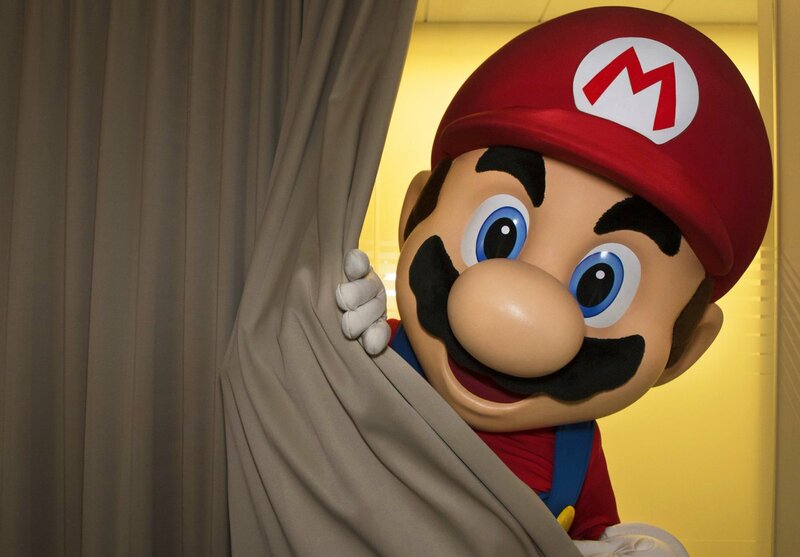 Nintendo updated its website with the news that they will be reveal the Nintendo NX tomorrow (10/20/2016) at 7 am PT. They first announced it on their twitter account. Nintendo’s new Zelda title has been shown to the world now and it looks quite unique. The game looks a bit cell-shaded in the same style as Skyward Sword but that is pretty much all that there is in common with previous titles. The world is, according to Nintendo, twelve times bigger than Twilight Princess which would easily be the biggest world in a Zelda title ever. Also, it is shown in the trailer that you can climb mountains, cut trees, set dry grass on fire and cook. There is also voice acting for the first time in the series. It is looking to be the most ambitious Zelda ever. Watch the trailer below. Evidence for a Twilgiht Princess HD remaster version has recently surfaced. The Nintendo eShop servers now have a listing for the The Legend of Zelda: Twilight Princess HD. It will be interesting to see if they sell this game for full price like they did with Wind Waker or treat it like the Metroid Prime trilogy and sell digitally for a modest price. Allison Road has a new publisher. The game Allison Road, a game highly influenced by the Silent Hills PT, has just canceled their kickstarter campaing. The reason for cancelling the kick starter campaign is that they found a publisher for their game. Team 17, best known for their worms franchise, will now be publishing the game. To learn more, read their kickstarter page update. Resident Evil 2 remake is now a reality. Capcom announced that they will be making a Resident Evil 2 HD Remake through their official Resident Evil channel on youtube. The announcement was brief with little details besides Capcom RD Division 1 is developing the game, or was the shirt of the guy says “We do it.” Hopefully they decide to recreate the Raccoon City in full 3D. Here’s hoping. Today Kotaku reported the news that Nintendo of Japan’s CEO has passed away. While many were reluctant to believe the news , thinking it was some sort of click bait link when posted in social networks the news is indeed true. The death was “due to a bile duct growth.” He was forced to skip E3 2014 due to this and underwent surgery shortly afterwards. Iwata became CEO of Nintendo in June 2013, he was approved by Hiroshi Yamauchi for the position of director in June 2000 and was in charged of the company for most of the GameCube era, all of the Wii era and up to the Wii U. He also helped create Earthbound and the Smash Brothers games. He was quite a unique individual and will be missed. Rest in peace, Mr. Iwata. DreadOut 2.0 is out now. Digital Happiness showed their love to their fans this St. Valentines day by giving their survival horror game an update with its anticipated act 2. What? Everybody shows love in their own special way. The second act is free for people who already own the game since it was always intended to be a two part game. It finishes the journey of Linda Melinda as she goes through a haunted school armed with nothing but a cell phone camera to fend off the ghost. It also adds 22 new steam achievements. If you had bought the soundtrack and manga of the game, this update also adds more music to the sound track. The update is 1.3 GBs of data big. Also, the game is currently has a 33% discount for the next two weeks. Wii games on the Wii U and a Majora’s Mask limited edition New 3DS. Today’s Nintendo Direct had some pretty interesting bits of information. Now you can buy Nintendo Wii games through the eshop and play them on your Wii U. The games will have a 50% discount for the first week they’re available. The New 3DS will not have a charging cable included in the box but it uses the same charger as the regular 3DS. Also, there will be a limited edition Majora’s Mask 3DS on February 13 along with the game. The game won’t be included with the limited edition 3DS unlike the last Zelda themed 3DS which came with Legend of Zelda: A Link Between Worlds. Here’s a link to the Nintendo Direct in Nintendo’s channel if you want to know more.